Brett Morgen’s documentary is most evocative as a memorable portrait of a woman, both in youth and late life, who always knew what she wanted — and who, in doing so, helped make the world a better place. 4 out of 4 stars. ‘Jane,’ a documentary directed by Brett Morgen. 90 minutes. Not rated; for mature audiences. SIFF Cinema Uptown. Note: The 4:30 p.m. and 7 p.m. shows on Dec. 2 will be followed by a Q&A with Becci Crowe, a member of the board of directors of the Jane Goodall Institute. The footage, in its Technicolor lushness (echoed by the intricate vines of Philip Glass’ score), is eerily beautiful: close-up moments of lacy-winged bees and languid centipedes, the wide-eyed face of an enchanting toddler chimp; the impossibly rich, damp green of the trees. 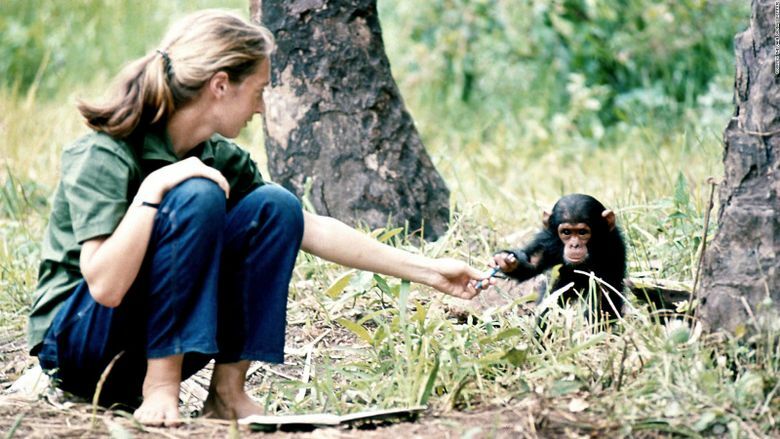 And there are personal moments that feel like home movies writ large: Goodall washing her hair in a stream, or smiling at wildlife photographer Hugo van Lawick, with whom she fell in love. But it’s most evocative as a memorable portrait of a woman, both in youth and late life, who always knew what she wanted — and who, in doing so, helped make the world a better place.